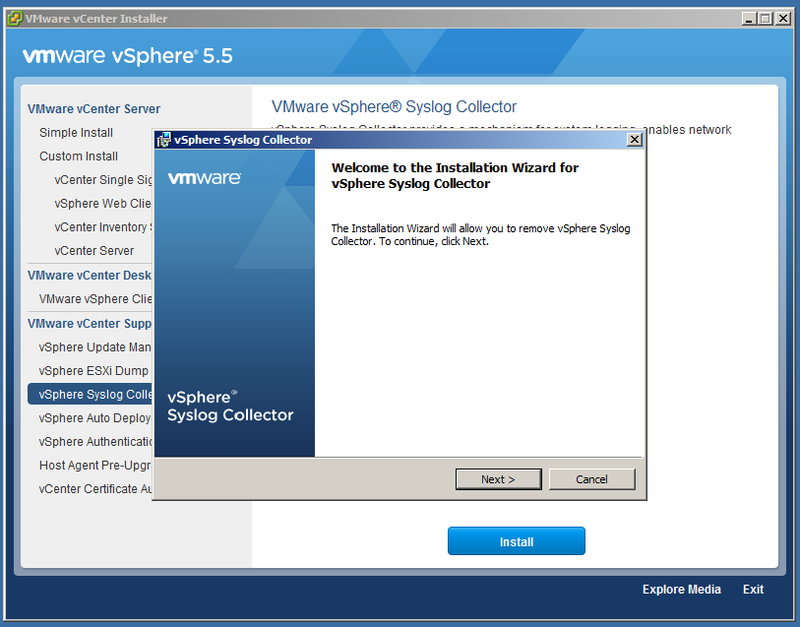 In earlier blogs, we saw the configuration and installation of VMware Syslog Collector in environment. What if we no more required syslog collector. 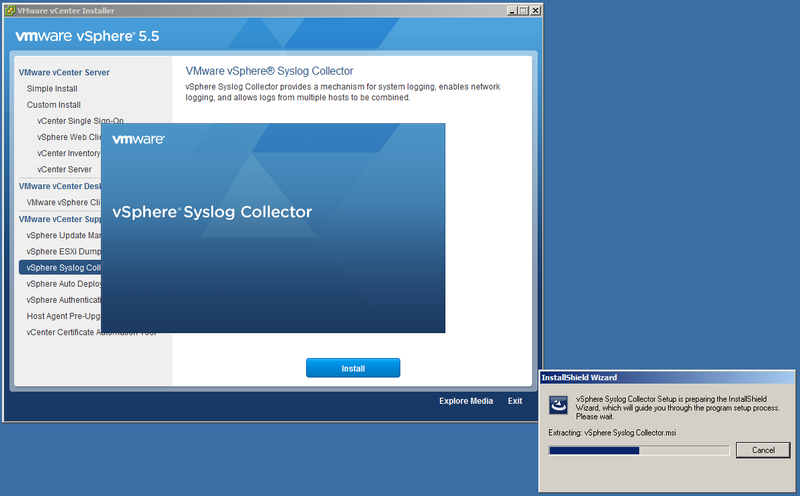 Follow below steps to remove or uninstall Syslog Collector. - Login to Syslog Collector Server if it's running on different Server. Or login to Virtual Cneter Server if it's running on same server where Virtual Center Exist. - Insert Virtual Center Installation Media Disk. - Browse or Autoplay Virtual Center Installation Media. - You will get multiple options there as shown below. 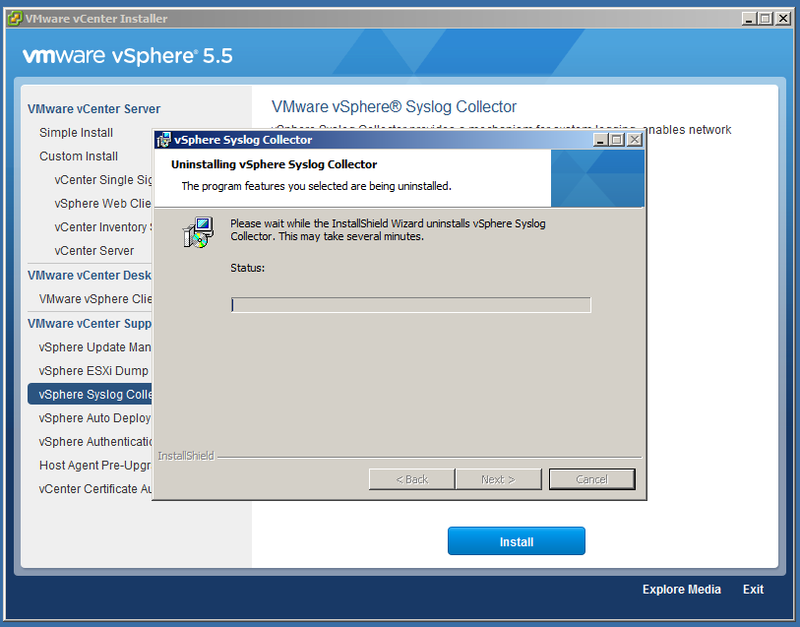 Click on vSphere Syslog Collector. - Click on Install will initiate installation exe. - As Syslog is already installed on Server, so it will pop up for removing the component. Click on Remove to uninstall Syslog Collector from Server. - Uninstallation of Syslog Collector is in progress. Uninstallation of Syslog collector has now been finished. Perfomring this task will remove all components of Syslog Server. After doing this, remove configuration from ESXi Advance Setting which was configured during installation. 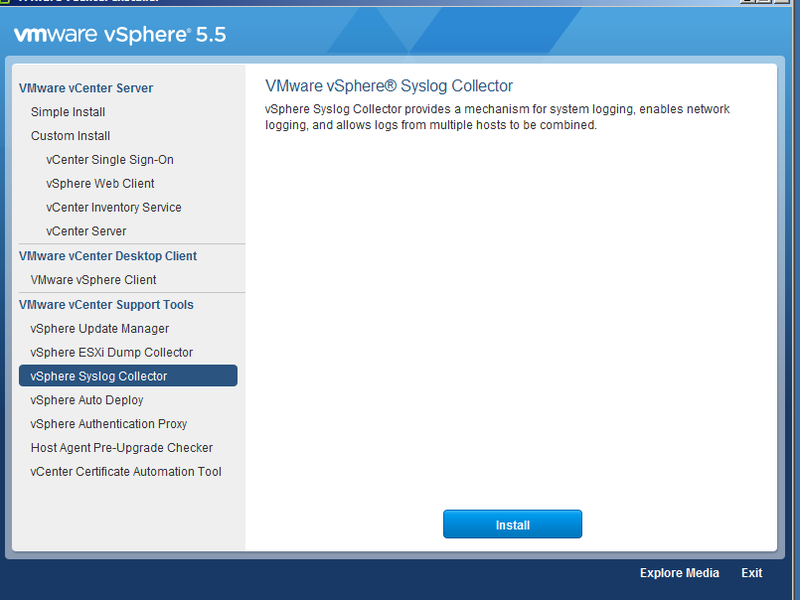 Refer to Configure ESXi Syslog Collector for more about this.